Anderson & Roe, Music Editors? We've entered the daunting world of music editing. After so many years of frustration with various music editors – "is that a dot or a dash?" "did the composer really write forte here?" – we're not sure what we were thinking, but we've given it our best shot! 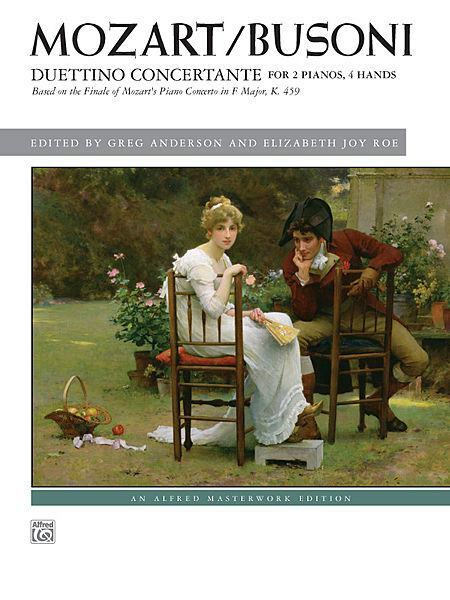 We're proud to present our edition of the Mozart/Busoni Duettino Concertante. We've filled the score of this deceptively challenging (but awesome) work with numerous tips and tricks to enhance playability, and we even added a jumbo-sized foreward of pertinant historical information. You can purchase the score by clicking the image below or visiting your favorite sheet music store.